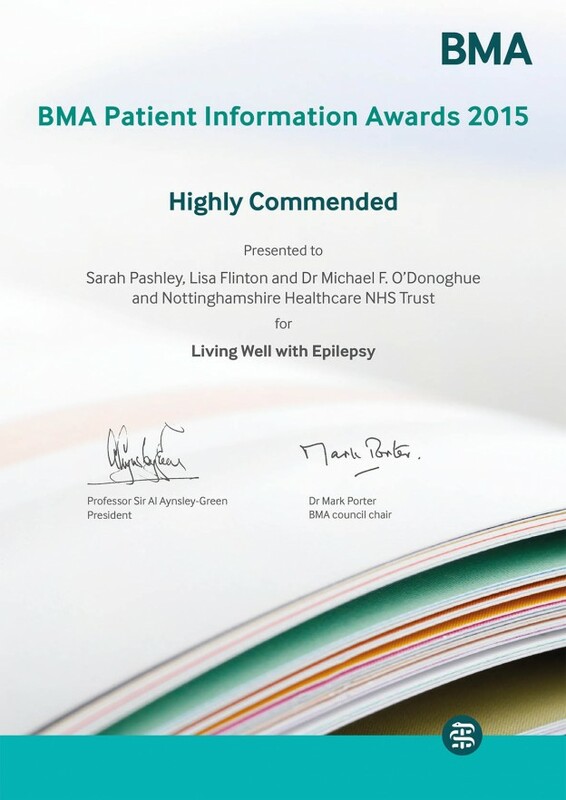 The Living Well with Epilepsy series of booklets and films which we created for Nottinghamshire Healthcare Foundation Trust received a ‘Highly Commended‘ at Monday’s BMA Patient Information Awards. The BMA Patient Information Awards (PIA) were established to encourage excellence in the production and dissemination of accessible, well-designed and clinically balanced patient information. 165 resources were submitted to the BMA Patient Information Awards this year. Ten special awards were made from the rest of the highly commended awards, including two new awards for information aimed at children or procured by NHS trusts. The entry form for the 2016 Patient Information Awards will be available mid December 2015.